Supporting voluntary, community and social enterprise organisations to become more sustainable. Skills Share provides opportunities for employee-volunteers to share their business expertise with voluntary community and social enterprise (VCSE) organisations to help them become more sustainable. By supporting VCSE organisations, employee-volunteers can bring about lasting change. Employee-volunteers act as ‘critical friends’, providing support, expertise and guidance and asking questions that challenge and help the VCSE organisation to move forward with their projects. 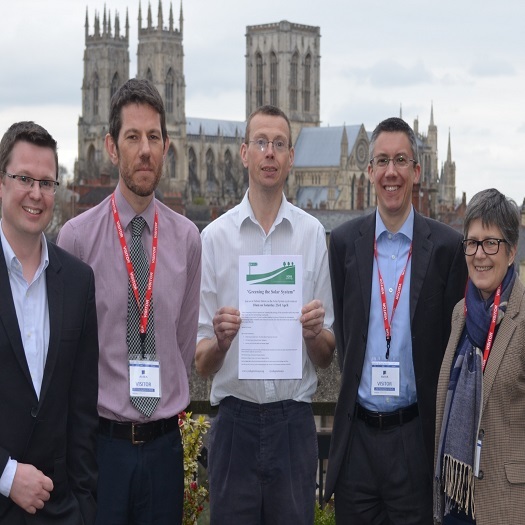 ● For VCSE organisations who are interested in gaining support from employee-volunteers please complete the Expression of Interest Form which can be found here and return the completed form to info@yorkcares.co.uk. ● For employee-volunteers who are interested in taking part please contact us on info@yorkcares.co.uk and we will then send over our skills audit form for you to complete. Once we know your skills and interests we will then be able to match you with a relevant project. For more reasons to get involved read our case study about previous skills share activities.